Don't get caught with expired documents! Get electronic licence plate & driver licence renewal reminders for free. If you require your Driver Abstract but cannot go into an Alberta Registry Office yourself, you may give consent to another person to obtain your abstract on your behalf. You will complete the Driver Abstract Consent form, and the individual to whom you have given your consent to will complete the Driver Abstract Statement of Intent form. If you live outside of Alberta and do not have a person who can come and obtain your Driver Abstract on your behalf, or if you wish to obtain a Confirmation Letter, you must complete a Notarized Request for Personal Driving and Motor Vehicle Information. *Please note that we can only provide Abstracts with Alberta Driving History. Should you require your Out-of-province Driver Licence history, please contact that particular province for assistance. 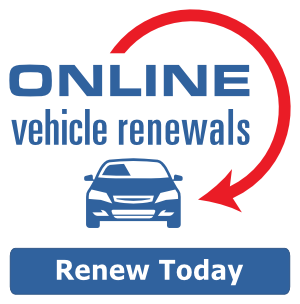 Sign up for our Renewal Reminder service and get electronic licence plate and driver licence renewal reminders. Free and plentiful parking for all our customers. Please note we stop learner tests, marriage licences and legal changes of name one hour before close.